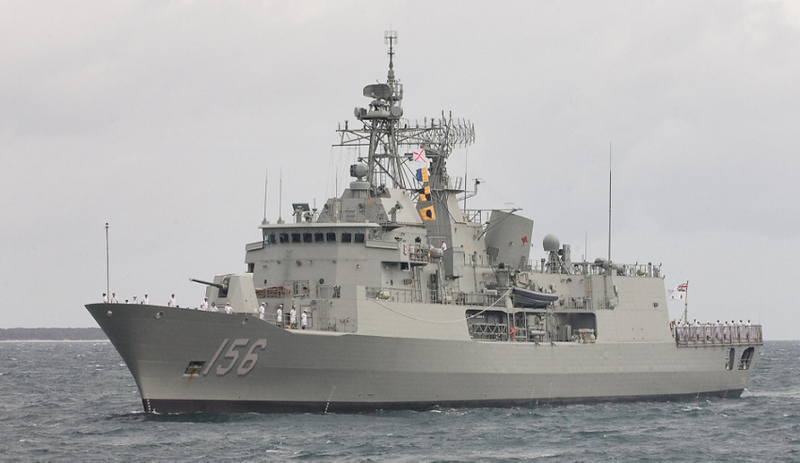 HMAS Toowoomba, one of the Anzac-class frigates Leonardo will provide with communications capabilities . Image via Commonwealth of Australia, Department of Defence. Leonardo subsidiary Selex ES Australia has delivered an upbeat progress report for its SEA 1442 shipbuilding contract. SEA 1442 is a multi-phase project to provide a maritime communications and information exchange architecture to meet the Australian Defence Force’s requirements for network-centric warfare in a maritime setting. The project is to upgrade the capability of existing communications systems, provide new communications capability and integrate those with related maritime communications projects. In addition, SEA 1442 aims to deliver a communications architecture to inform future maritime platform projects. Leonardo recently opened its SEA 1442 Shore Integration & Test Facility in Melbourne, where executive chairman of Leonardo Australia Michael Lenton said Australia is on track to be one of the biggest markets for the company. Speaking to Defence Connect, Lenton said SEA 1442 was Selex ES’s main program it’s working on at the moment. “It's the largest contract that we have in Australia, and we're totally focused on that because we have reached a really significant point,’ he said. “We've come through the design phase, the acquisition of the components of the solution, and now the real test is getting the solution on board the ship and respecting the milestones associated with that. “Now that means in addition to the facility we have in Port Melbourne, we've also now established ourselves in Western Australia where the installation on the ships will take place. That's an exercise that'll take over six years for the installation phase and then the through life, the support phase will follow. So it's, we're here for the long haul on that particular program, and on every other program that we're dealing with here in Australia. “It means in addition to setting up the test, the shore test and installation facility that we have in Port Melbourne, where we're actually testing the system and making sure that it all works before it gets installed. There'll also be the training, the documentation that needs to be finalised for the training and for the support phase of the system.